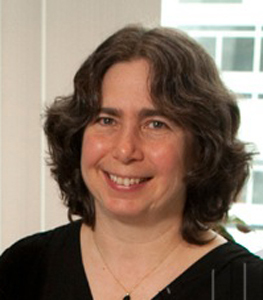 Dr. Mariana Wolfner is the Goldwin Smith Professor of Molecular Biology and Genetics and a Stephen H. Weiss Presidential Fellow at Cornell University. She received her BA in Genetics and Chemistry from Cornell University, and her PhD in Biochemistry from Stanford University. She did postdoctoral work at UCSD, before joining the Cornell faculty in 1983. Mariana has received many awards and honors during her career. For example, she is a Fellow of the American Association for the Advancement of Science, and was a Lady Davis Fellow. She has given numerous named or distinguished lectures, and has also received awards for her teaching and advising of students. In addition to research, teaching, and advising, Mariana is very active in service to her field, serving on many Society Boards, Editorial Boards and organizing many conferences. Mariana is with us today to tell us all about her journey through life and science. Mariana enjoys spending time with her family including her two grown children. They like to go hiking, birdwatching, and generally being out in nature. When the weather’s not cooperating, Mariana stays inside doing crossword puzzles and other kinds of puzzles as well as baking sweet treats. We were also delighted to discover our shared love of terrible puns. In the lab, Mariana studies reproduction, focusing on interactions between male and female molecules throughout the reproductive process and how these interactions evolved. Also, how does an egg switch from being a differentiated egg cell to a brand new organism that is going to divide and make every kind of cell in the organism. Mariana grew up in New York City, and she remembers spending a lot of time in the natural history museum there. They had so many great exhibits about life, cells, how animals worked. and what was out there in nature. She also used to go on hikes and try to identify all the animals and plants that she saw along the way. In her first few years as an assistant professor, and Mariana was studying the genes and processes that cause a fertilized egg to become a male or a female. She was working with fruit flies to find the genes that were expressed differently in males and females. They found some genes, but literally the day before she left for her first conference as an Assistant Professor, they discovered the genes were expressed in a tissue only in male flies that they thought had nothing to do with behavior. This was a major disappointment, but a tip from a senior scientist in the field that she met turned it all around. In another area of Mariana’s research they are examining what turns an egg on to start developing as an embryo. This process is not well understood because it is very brief, and there is no new gene expression during this time. In insects, even unfertilized eggs can start forming embryos, and she wanted to know why. They discovered that the same exposure to increased calcium that triggers the process in mammals occurs in fruit flies, but through a different mechanism. One place that Mariana is very fond of is the island of Crete. She has attended a conference there that is held in a monastery right on the coast. It was delightful to see groups of scientists swimming together talking science. The location is absolutely stunning, and she enjoys the scenic walks, kind people, and wonderful food. As someone who studies fruit flies, it has become somewhat of a tradition for people in the field come up with the weirdest and most creative names for their genetic mutants. For example, Methuselah and INDY (I’m Not Dead Yet) are genes involved in longevity and Tin Man mutants have no heart. Mariana has even had the opportunity to make a fun gene name with one of their collaborators in the field. You need to work on what you love and what excites you. It is also really important to find mentors and labs that care about you and will support you in this quest. Also, it is okay to switch your research if you find something that interests you more. Mariana is interested in understanding the molecules and mechanisms that result in successful fertilization and early embryonic development. Her research focuses on two general questions, which she and her lab approach through the power of Drosophila molecular genetics. First, successful reproduction requires not simply the union of egg and sperm, but also physiological changes in the female that increase the likelihood of fertilization and, in some animals, affect the health of the offspring. These changes are caused by molecules in the male’s seminal fluid. Mariana and her lab investigate how seminal proteins cause these changes. Their research showing how male proteins signal to the tissues and cells in the female to facilitate reproduction could help to uncover the nature of some human infertilities, and can also point to potential methods to control the spread of insects that transmit diseases. The second area that fascinates Mariana is how an embryo begins its development. She and her lab focus specifically on how a fertilized egg activates its cell divisions and development, becoming an “ultimate stem cell” that can generate all the cell types of the organism. They investigate the physical and ionic changes that trigger this dramatic change in the egg. They also identify and study the proteins that are regulated by this trigger and function to initiate embryo development. The results of this research help to explain how cell division and developmental potential are controlled. In addition their findings may provide tools to help diagnose or alleviate certain forms of infertility.